The body’s immune system is a complex and dynamic defense system that comes to the rescue at the first sign of exposure to an outside invader. The dynamic nature of the immune system means that all factors that affect health need to be addressed in order for it to function at peak performance. The immune system is very sensitive to nutrient deficiencies. While vitamin deficiencies can compromise the immune system, consuming immune enhancing nutrients and botanicals can support and strengthen your body’s immune response. Viracid includes a powerful combination of key nutrients and botanical extracts that provide immediate support for immune challenges. 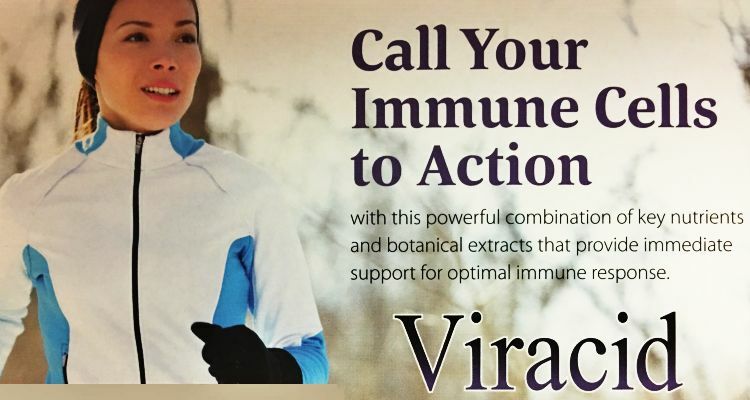 Viracid boosts immune defenses by providing nutrients such as L-lysine vitamin A, C, pantothenic acid, B12 and zinc, as well as the synergistic blend of botanical extracts black elderberry, astragalus, echinacea and andrographis that have been used traditionally for their clinically effective immunomodulating properties. Does Not Contain Gluten, yeast, artificial colors and flavors. Vitamin A is fat-soluble, and can accumulate to potentially harmful levels over time. Do not exceed recommended dosage. Consult your physician before use. Do not consume this product if you are pregnant or nursing. Viracid includes a powerful combination of key nutrients and botanical extracts that provide immediate support for immune challenges. 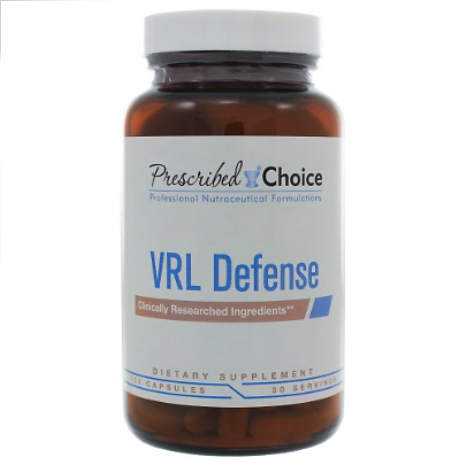 Viracid boosts immune defenses by providing nutrients such as L-lysine vitamins A and C, pantothenic acid, B12, and zinc. 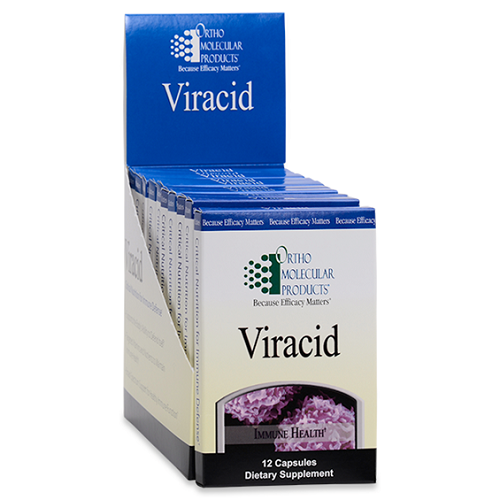 Viracid includes the synergistic blend of botanical extracts black elderberry, astragalus, echinacea, and andrographis, all of which have been used traditionally for their clinically effective immunemodulating properties. Our body’s immune system is a complex and dynamic defense system that comes to our rescue at the first sign of exposure to an outside invader. The dynamic nature of the immune system means that all factors that affect health need to be addressed in order for it to function at peak performance. The immune system is very sensitive to nutrient deficiencies. While vitamin deficiencies can compromise the immune system, consuming immune enhancing nutrients and botanicals can support and strengthen your body’s immune response. 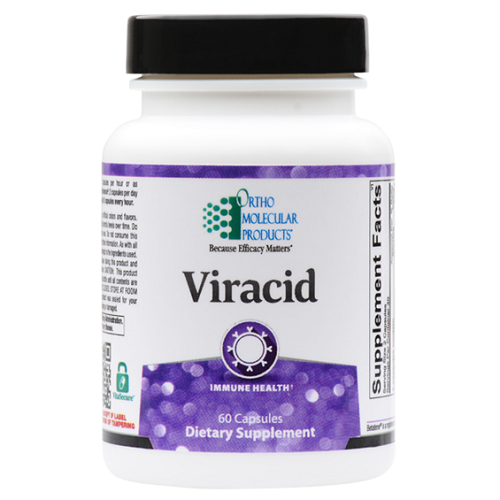 Viracid’s synergistic formula significantly boosts immune cell function including antibody response, natural killer (NK) cell activity, thymus hormone secretions, and T-cell activation. Viracid also helps soothe throat irritations and nasal secretions, and promotes healthy inflammatory balance by increasing antioxidant levels throughout the body. 1. Dardenne M, Pleau J, Nabarra B, et al. Contribution of zinc and other metals to the biological activity of the serum thymic factor. Proc Natl Acad Sci 1982;5370-3. 2. PDR Health: Zinc. www.pdrhealth.com. 3. Wintergerst ES, Maggini S, Hornig DH. 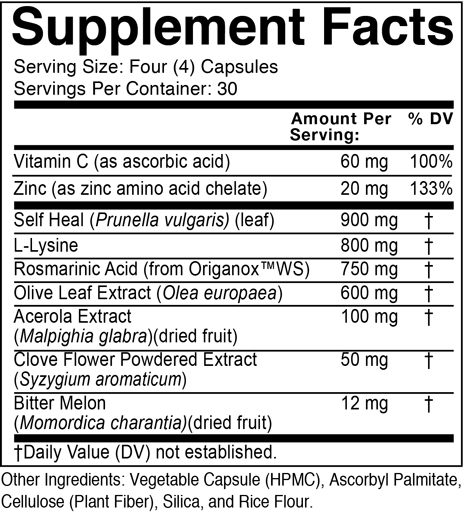 Immuneenhancing role of vitamin C and zinc and effect on clinical conditions. Ann Nutr Metab 2006;50(2):85-94. 4. Vitamin A. Integrative Medicine: Integrative Medicine Communications; 2000. 5. Zhao W, Zhai F, Zhang D, et al. Lysine-fortified wheat flour improves the nutritional and immunological status of wheat-eating families in northern China. Food Nutr Bull Jun 2004;25(2):123-129. 6. Melampy RM, Cheng DW, Northrop LC. Effect of pantothenic acid deficiency upon adrenal cortex, thymus, spleen, and circulating lymphocytes in mice. Proc Soc Exp Biol Med 1951;76:24-27. 7. Mahboob S. Thymic weight in pantothenic acid deficiency. Nutr Metab 1976;20:272-277. 8. The American Botanical Council. The ABC Clinical Guide to Elder Berry. 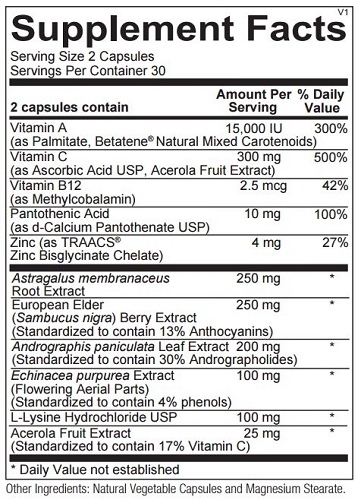 2004;http://abc.herbalgram.org/site/ DocServer/Elderberry-scr.pdf?docID=165. 9. Monograph. Sambucus nigra (elderberry). Altern Med Rev Mar 2005;10(1):51-54. 10. Barak V, Birkenfeld S, Halperin T, Kalickman I. The effect of herbal remedies on the production of human inflammatory and anti-inflammatory cytokines. Isr Med Assoc J 2002;4(11 Suppl):919-22. 11. Tan BK, Vanitha J. Immunomodulatory and antimicrobial effects of some traditional chinese medicinal herbs: a review. Curr Med Chem 2004;11(11):1423-1430. 12. Kemper K, Small R. Astragalus (Astragalus membranaceous).1999.http://www.longwoodherbal. org/. 13. Sinclair S. Chinese herbs: a clinical review of Astragalus, Ligusticum, and Schizandrae. Altern Med Rev 1998;3(5):338- 344. 14. Berrett B. Medicinal properties of Echinacea: a critical review. Phytomedicine 2003;10:66-896. 15. Percival SS. Use of Echinacea in medicine. Biochem Pharmacol 2000;60:155-158. 16. Pizzorno JE, Murray MT. Textbook of Natural Medicine. (2013) St. Louis, MO: Churchill Livingstone. 17. Cáceres DD, Hancke JL, Burgos RA, et al. Use of visual analogue scale measurements (VAS) to assess the effectiveness of standardized Andrographis paniculata extract SHA-10 in reducing the symptoms of common cold. Phytomedicine 1999;6:217-223. 18. Calabrese C, Berman SH, Babish, SH, Babish JG, et al. A phase I trial of andrographolide in HIV positive patients and normal volunteers. Phytother Res 2000; 14:333-338.